Also an option in recent poll by Geoff Keighley. 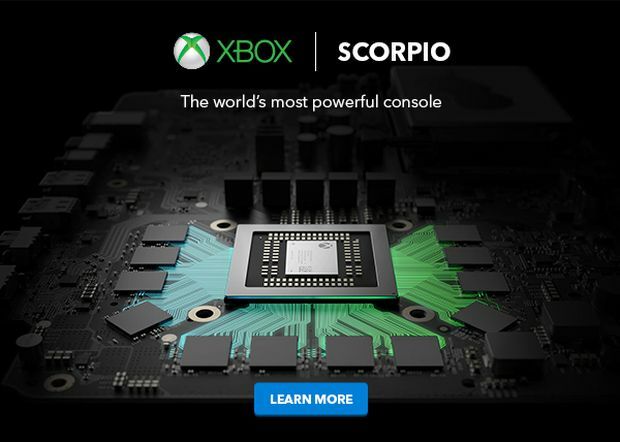 Project Scorpio has been the codename for Microsoft’s heavily upgraded Xbox One console for a good year now (longer if you followed the rumours leading up to its official announcement). While it’s expected that Microsoft will unveil the final name at its E3 2017 presser at 2 PM PDT today, it seems to have leaked already. As per Wario64, the recent Best Buy Newsletter lists the console as simply being called the Xbox Scorpio. It’s not the strangest of all occurrences, especially with Geoff Keighley asking on a Twitter poll about the final name. One of the choices provided is – you guessed it – Xbox Scorpio. Take this with a grain of salt for now. Anyway Microsoft’s conference is in a handful of hours so we’ll find out the truth eventually. What else do you hope to see from the E3 2017 press conference? Let us know in the comments below and stay tuned for more information.